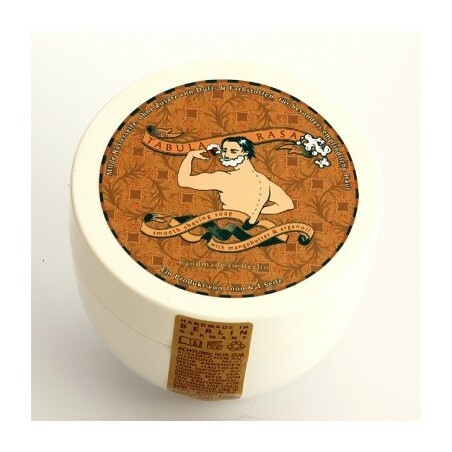 Tabula Rasa Olibanum Soft Shaving Soap 90g. Tabula Rasa shaving soaps are handmade with 100% natural ingredients. Enriched with mango butter, Arganoil, shea butter and barley extract. It contains a lot of linoleic acid, used to soothe the itching and irritation. Olibanum Fragrance: Intense and relaxing incense scent. Touch of wet wood. An intimate and masculine scent. This soap is very rich and nice to use. It also unusually is all natural, using high quality ingredients. The only downside is the price, but quality costs.